I don't know if you remember last year's post where I took this close up. Well, the same guy was here this year, only this time I took the photo from above (from the street level). This sand sculptor is really good I must say and he has a lot of success (even though there are probably much less passers by this year because of the poor weather). 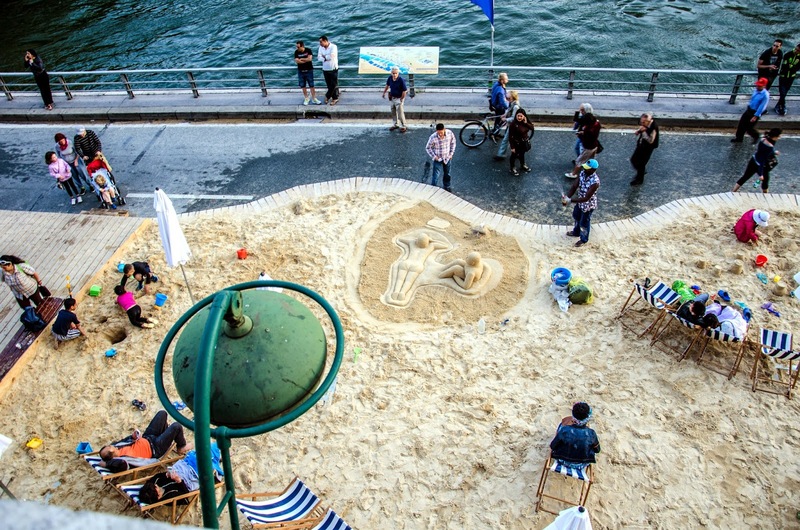 Anyway, it's Paris Plage's last weekend, pretty soon it'll be time to pack this sand and let the cars back into their realm! It's a good angle for the shot. I like your angle for this one too! Terrific viewpoint and I do love the sand sculpture!